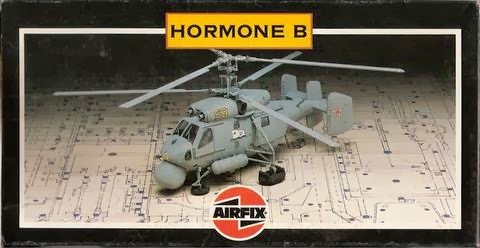 Boxes; There is many reasons to buy a specific model kit, but in this case I bought basically for the appeal of the first box. 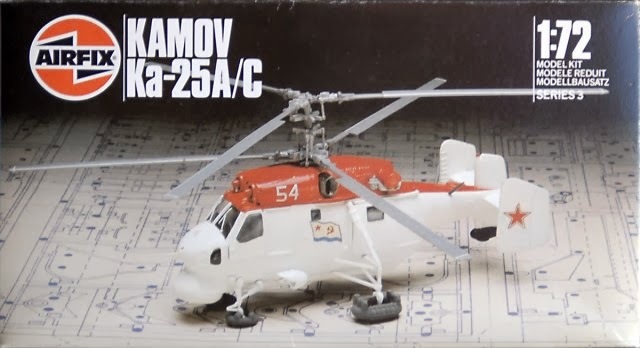 I didn't knew anything about this helicopter, not even that it existed, but the completed model in the first box convinced me. If you look carefully, it is not exceptionally well made, but you see clearly the strange shapes and design it has. 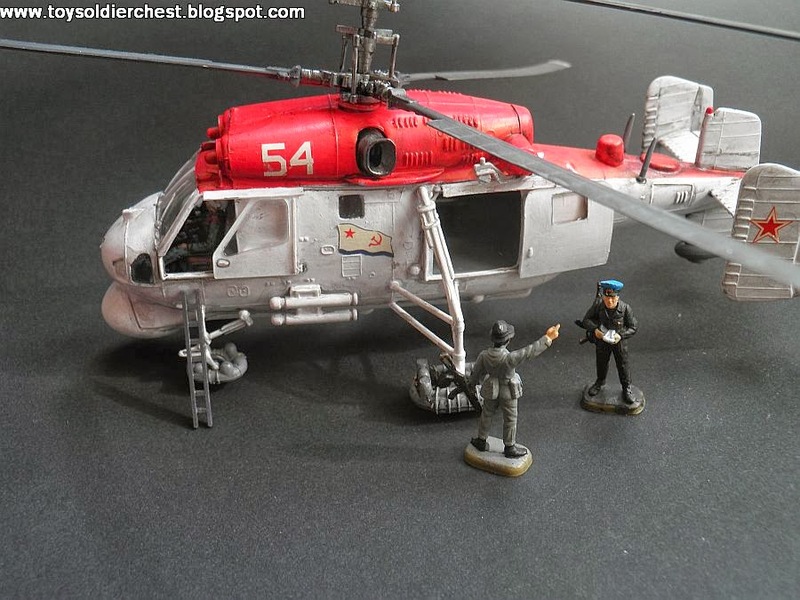 The MPC (it is exactly as the airfix 1st release but with new decals) box is more detailed, but it just looks like another random modern helicopter (in my eyes of WW2 collector!). The third one you could say the same that the first (it includes new parts, as well as the last one). Finally, the last one is an attempt to make it look more modern, but it fails to do so and it gives a very dull appearance. 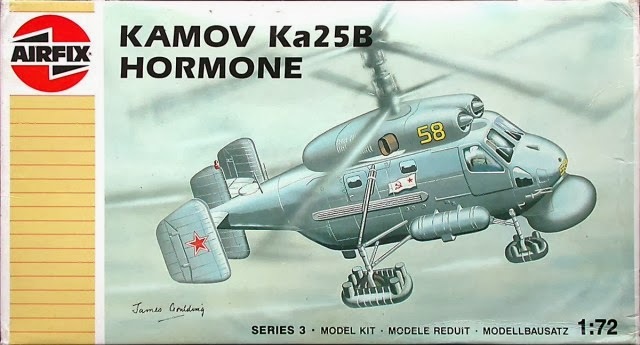 P.S: Apparently, SK Model has copied or used under license the moulds of Airfix (of the Hormone B version). About the box, it is nicely painted but looks weird and quite different to the real thing. 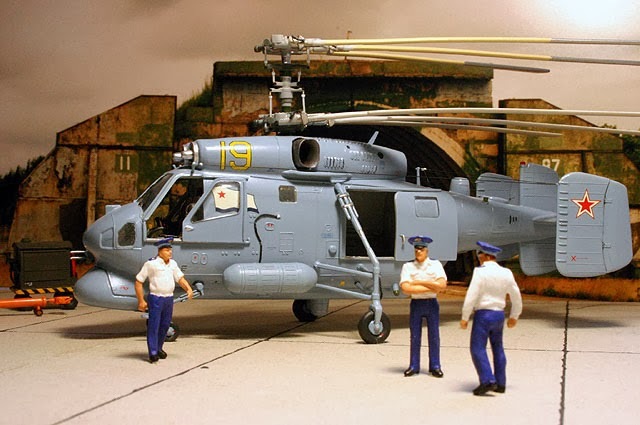 It is an average Airfix kit of his age (that is, 1983, when this helicopter was still quite secret, so Airfix made a good job with accuracy). 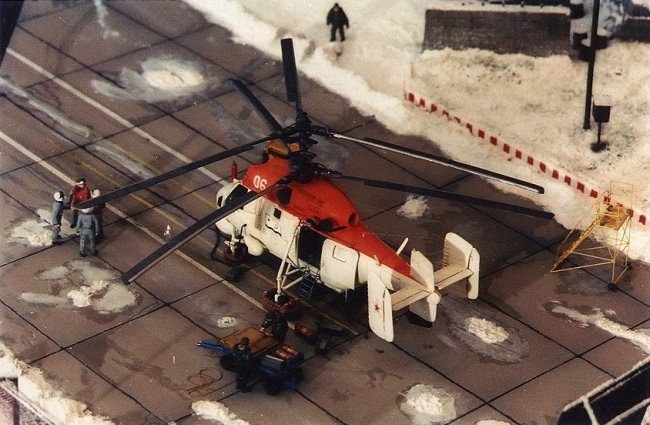 It isn't a kit too complicated, perhaps the most tricky thing is building the rotors, as the pieces don't fit well until you have sanded them. The worst thing about the model was undoubtedly, the windows. 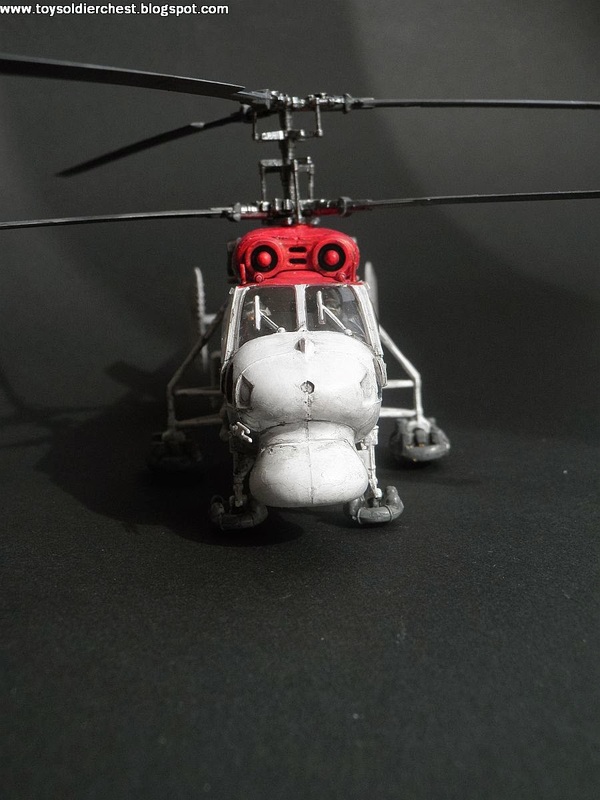 They all had a small cavity, ruining all of them (except the front cockpit, thank god) so I had to substitute them all for clear plastic. Till what point this is just a lack of plastic in just some specific examples I don't know, but I suspect it is something generalized, as in the built model in the first box, the middle window and the one in the nose has a bit of cavity. Besides this, the other bad thing is the moulding mark on top of the air intakes, which looks very ugly (in my built model kit, I didn't sand it enough). Also, the plate with the air intakes don't fit smoothly with the rest of the cowling, it is too small (I don't know how in the box it looks so well, maybe it was the prototype or they put so much glossy paint that it blended it nicely). 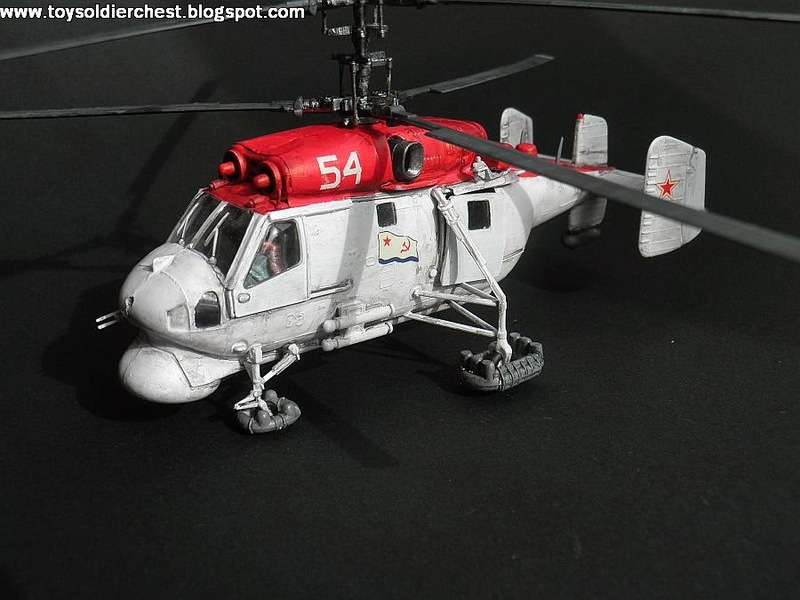 You can build the version A (rescue) or B (navy). 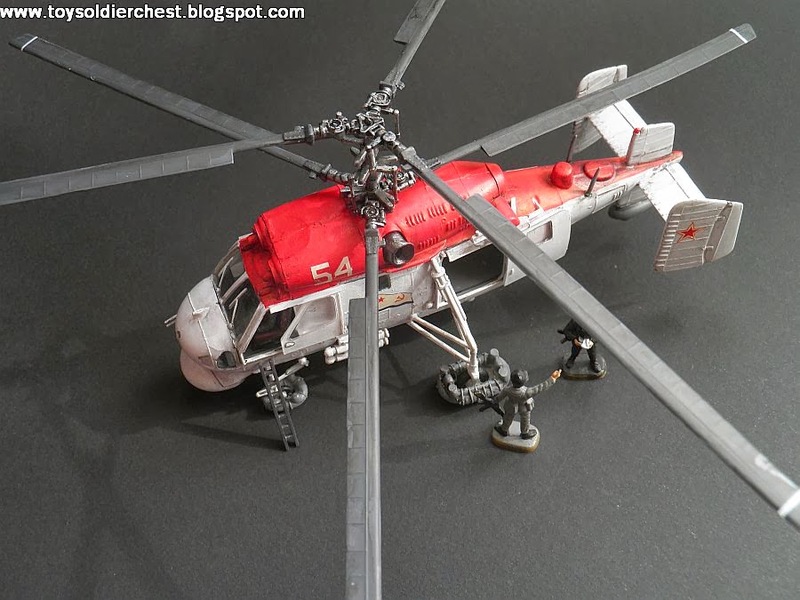 (in my case, I built the rescue version but with the missile launcher instead of the lights and the radar in the back). 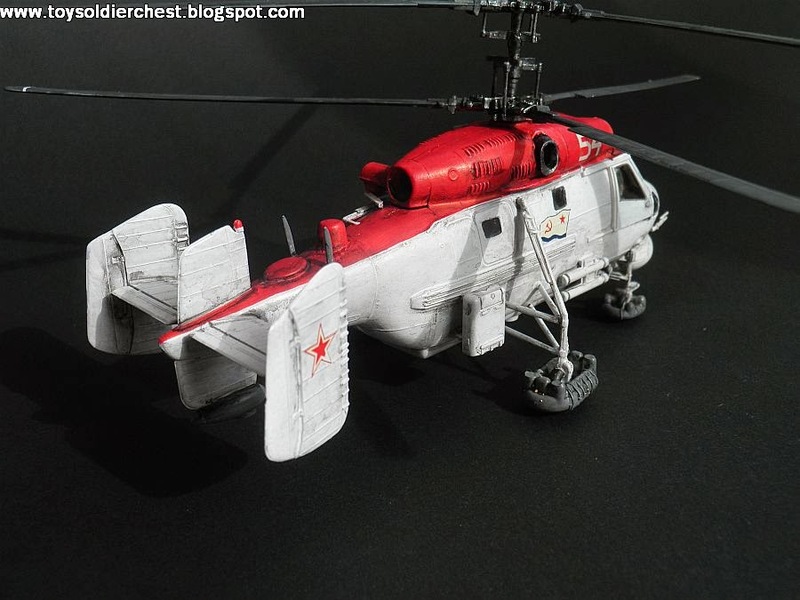 You will have to sand many things in this kit, and the floats is the better example of it. You have to hugely sand them to get the wheels touching the floor. 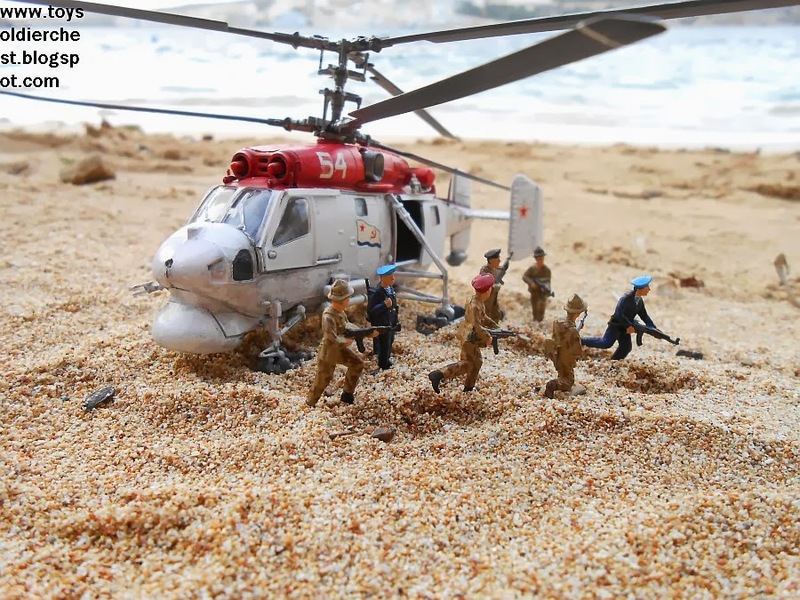 Most Airfix kits are cheap, and this is not a exception. You can get it very easily on eBay, as it is a strange looking aircraft, and is not from WW2 nor any major conflict, it doesn't attract much interest on the whole. 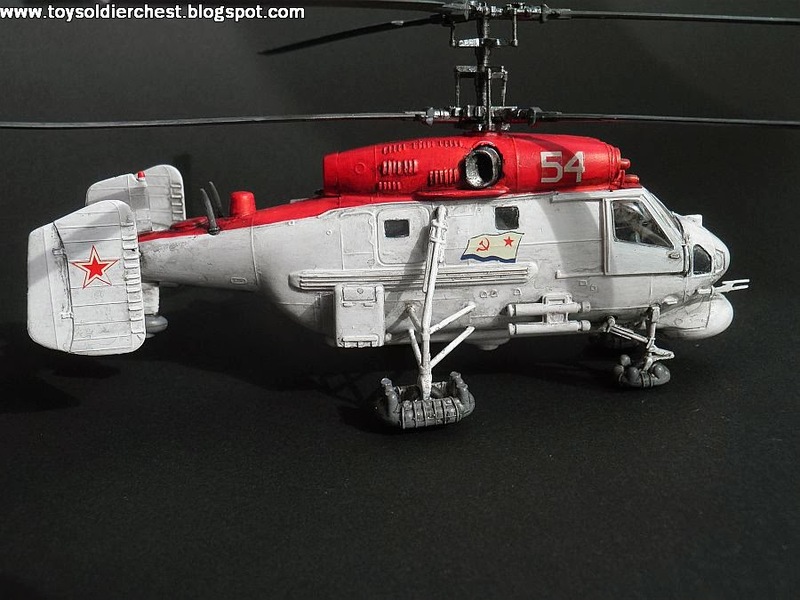 It is apparently, the only kit released of this helicopter. 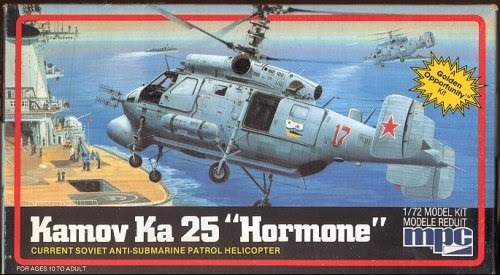 Just the fact that it is a twin rotor counter-rotatory helicopter, makes it worth of having a place in any model kit collection, just for his uniqueness, and also by his "auxiliary" floats on each wheel. 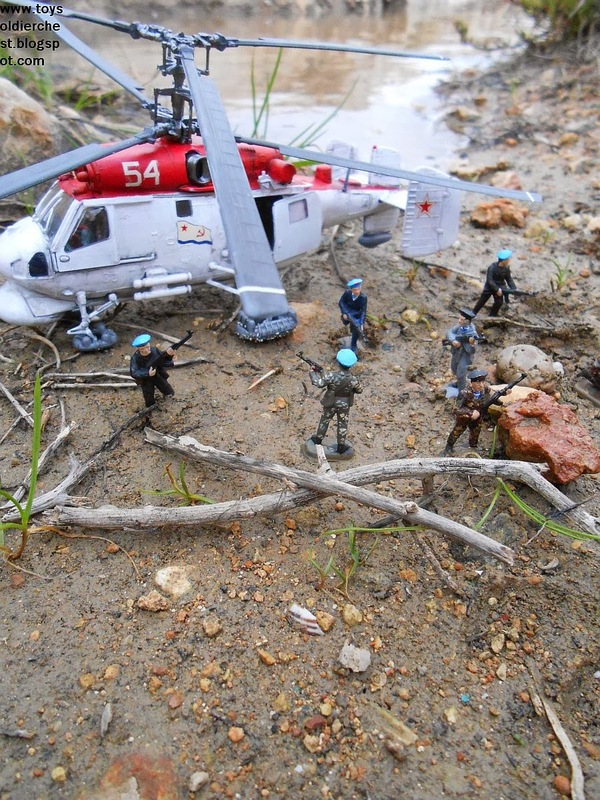 I collect very few modern air kits, but this one stole my heart for it's strange appearance and cold war style.